Big thanks to Jonny Knopp for the referral and Sam Johnson for making the shoot go very smoothly! Published in "Forest Gardening In Practice"! Between late 2014 and early 2016, I was actively involved with the Beacon Food Forest, an open-to-all food forest just miles from downtown Seattle. The concept behind the food forest is simple - to cultivate and maintain a food-producing urban oasis that provides nutrients for both humans and wildlife while at the same time rejuvenates local ecology and sense of community and connection to the land. After years of conception, planning, collecting public input and support, dealing with city officials to secure the available land and permits, and then of course, the conversion of grass lawn into the thriving garden of eden that it has been since 2012. 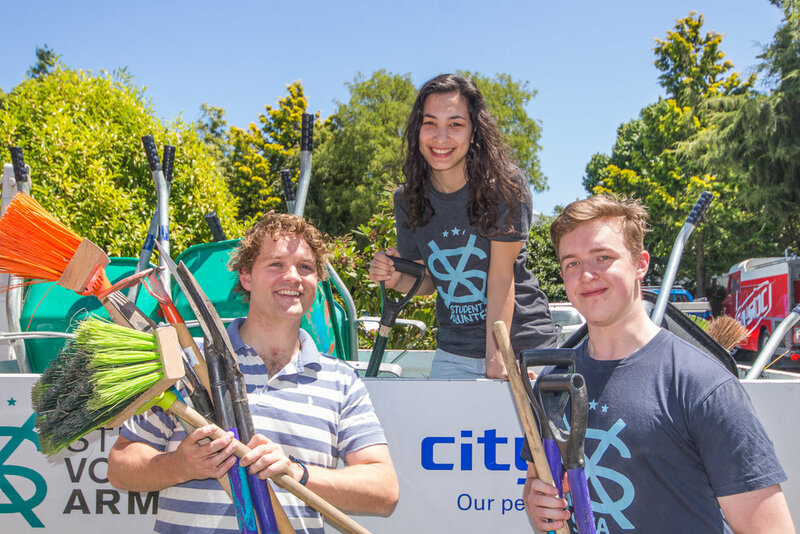 Dozens upon dozens (and often 100+) of volunteers come through the Beacon Food Forest every month to help weed, trim, chop, compost, move, roll, drop, plant, and harvest and keep the abundance rolling in for anyone and everyone. Native species such as black currants are complemented by a diversity of other medicinal and sustanance-creating annual and perennial plants and trees. The food forest is currently in the process of expanding its current size (approximatley 2 acres) to double that. "Phase 2" will be the result from the input from hundreds of dedicated volunteers and invested neighborhoods over the past 2 years. Thanks in part to a grant by The Bullitt Foundation in Seattle, Phase 2 will not only have tremendous public support but financial backing as well (for the time being). The Beacon Food Forest is arguably my favorite place in the city of Seattle (Golden Gardens and Discovery Park are runners-up). The profound benefits of a public, open-for-all-at-anytime gathering place where folks of all ages are free to come as they are and learn about plants, food, nutrient cycles, meet neighbors, and exchange knowledge are deep and enriching, to say the least. I was fortunate to have been introduced by this incredible project by a good friend and mentor from British Columbia, and captured many magical moments in this special space with many friends and neighbors. 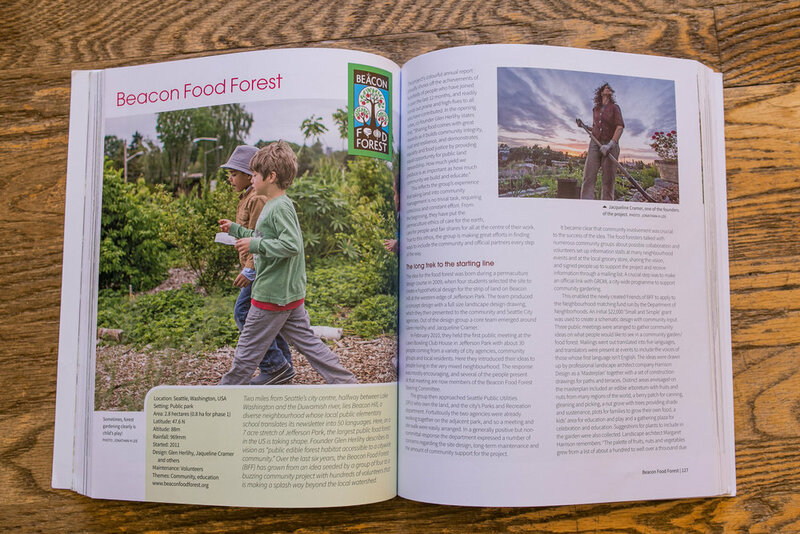 I started working with the author, Tomas Remiarz, on the publication of the chapter on the Beacon Food Forest about 2 years ago, and received a copy of the final product just a few months back. I am proud and joyed to have my work featured in such a beautiful book showcasing a number of amazing examples of what folks from around the globe are doing to revitalize urban and rural places to make healthier communities for all living beings. Grateful especially for friends and connections established through the food forest and now our roots are amazingly intertwined forever. Learn more about the Beacon Food Forest through their website, www.beaconfoodforest.org and connect with their social media networks on Facebook (www.facebook.com/beaconfoodforest) and Instagram (@BeaconFoodForest or hashtag #BeaconFoodForest). 387 days ago, I left the US to return to Nepal to work and live with the Conscious Impact team in the rural village of Takure several hours outside Kathmandu. Today is the 2-year anniversary of the 2015 earthquake that shook Nepal and claimed the lives of around 9000 Nepalis and destroyed tens of thousands of homes. Last year I was also in Takure. 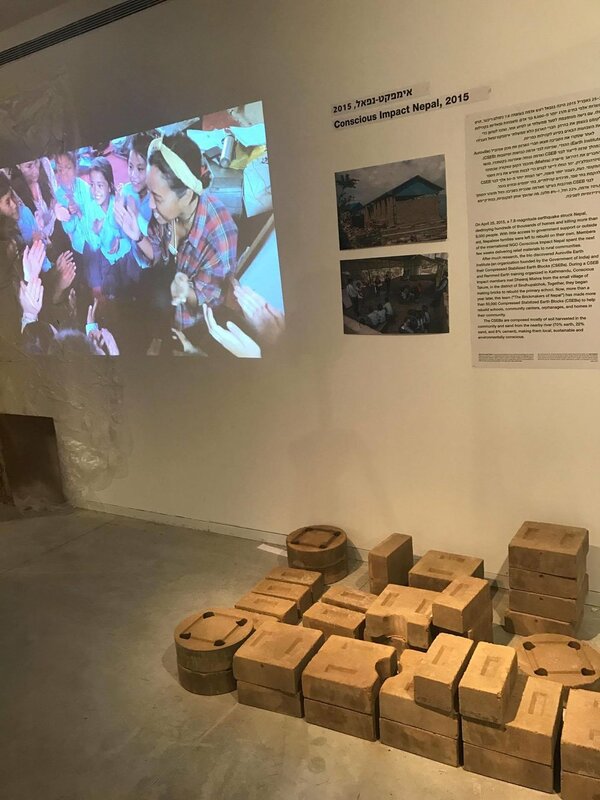 I remember being with over 30 international volunteers working to produce locally and sustainably-produced bricks to rebuild one of the local primary schools. Now, over 70,000 bricks later -- a primary school, an orphanage, an office building for the local women's microfinance cooperative, a community center, an elder's center, and several family homes are either completed or currently in the works. This evening we gathered in commemorating of the earthquake that brought us together, and to celebrate how far we've come together and to fuel our journey ahead. 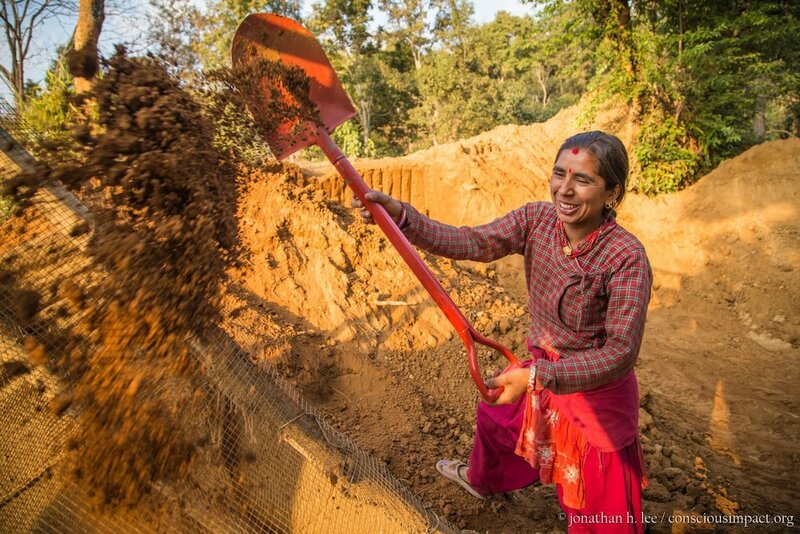 This evening we are proud to present a feature on CNN.com, titled "Rebuilding a Nepali village, one block at a time." Deep, deep gratitude to the hundreds of volunteers and hundreds more supporters worldwide in making our rebuilding story happen and continue to unfold. I'll always have Orion Haas and Allen Gula to thank for their vision of Conscious Impact and the wonderful humans they have magnetized to this space over the years. I must also thank Alyson Noele Sagala and Sunita Pandey in helping me with the interviews and in gathering all of the information to make this article happen, and of course last but not least gratitude goes out to Phillip Ngo in connecting us to Bijan Hosseini at CNN in materializing this piece. I am absolutely humbled to have my photos and a project-community I have so much love for be featured on a major news channel. Namaste! Friends and family, I am tremendously excited to announce my first museum exhibition feature at the Tel Aviv Museum of Art in Israel. 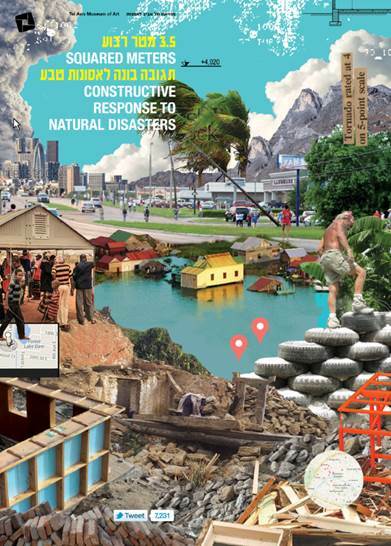 The exhibition, titled "3.5 Square Meters: Constructive Response to Natural Disasters," will open to the public in under 3 days on March 23 at 6pm, and remain so until the first week of September. This multi-month exhibition will showcase (as you can likely imagine by now) Conscious Impact and our collaborative work since August 2015 in the village of Takure in the Sindhupalchowk region of Nepal. Plus... our very own bricks are there! The team and I have been working with the exhibition curator since last autumn to put together something that we feel is indicative of the immensely intimate and important work that we've been doing with the local community members heavily affected by the April and May 2015 earthquakes. My brother Allen Gula, one of the main reasons I first went to Nepal in 2015 after the earthquakes, as well as co-founder of Conscious Impact, recently wrote a blog piece on the story of our project and it has been featured on Turn It To Trvl - a very good read. Namaste! "...We want to provide steady, supportive spaces that shifts development from the mind and planning every aspect of the future into a heart oriented space where what’s best for everyone can arise from the intuitive part of our best intentions. To continue to make bricks, provide local jobs and give the best advice to home rebuilders with a local material made by their families. To reforest these Himalayan hillsides with love, respect and fruit trees that we can eat from and share after a long days work together."